My first paid classic gig – HubNut – celebrating the average! My writing career started, with a splutter and perhaps a bit too much choke, in September 2006. Happy anniversary me! I’d had a couple of features published prior to that, but September remains a key moment. It was the first time a publisher sent me off to drive some cars and write about them. Quite how I managed to stop myself running around in circles long enough to convince the dealer to give me the keys is an interesting question. I’ve no idea how I managed it. Here is the very first car I was paid to drive. My first paid gig. Not a bad start! You can see why I was quite giddy. 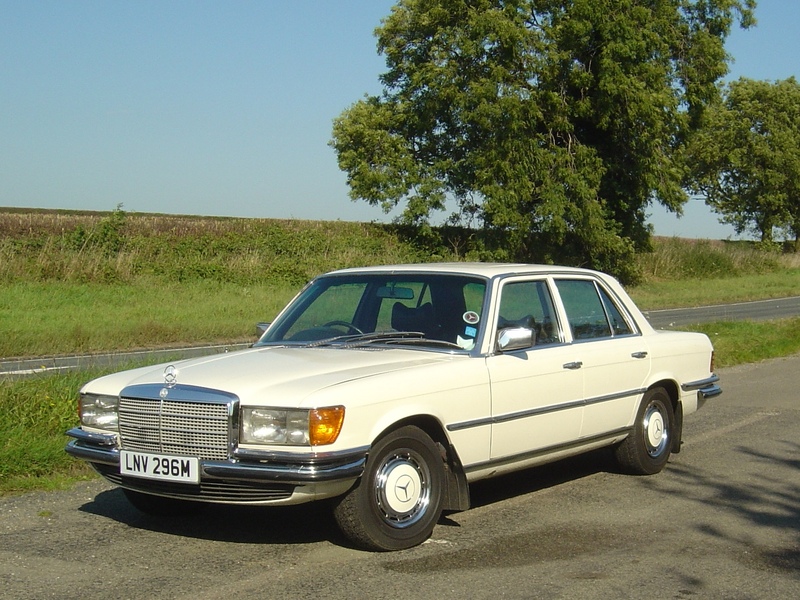 A very early Mercedes-Benz W116 350SE in beige! Frankly, it’s a miracle that the picture is in focus – some of the shots I took that day were bloody awful. I had a lot to learn! However, I got the main shot. I do love big Mercs. They waft around in the most wonderful manner. Yet this one also took to sounding meaty and V8-ish when the long-travel throttle pedal was shoved right down. This car arrived just four years after the Rover 3500 P6 but feels even more astonishing to drive. They are broadly similar in their beautifully engineered, V8-powered ways, but the Merc moved the game on by some margin. It even had overhead camshafts. I certainly had my happy hat on. What a start! I drove three cars that day though, and even my first outing saw me encounter the ubiquitous, front-cover-friendly form of a bright red MGB. 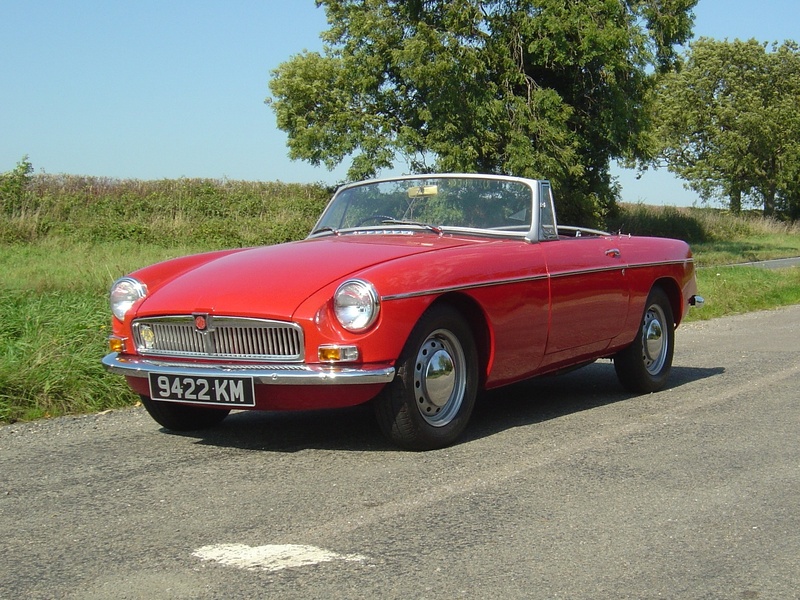 Yes, a red MGB. Big wows. Oh, hold on. It’s an early one! Not just any MGB. This is a really early one, with the pull-action door handles and wonderful steel wheels with hub caps. Properly smart. It dates somewhere between 1962 and 1965 but like the Merc, no longer appears on the DVLAs systems. Which is a shame. I hope it hasn’t suffered the indignity of having bloody wires or minilites fitted to it, wherever it is now. Being early meant it also had a HUGE steering wheel and a three-synchro gearbox. It made a thoroughly charming noise as I drove along – burbling exhaust magic allied to a delicious transmission whine. Also, the lines were unspoilt by a good – with these early ones, you sort of had to build the hood yourself if it rained. Or get wet. I was saving the best until last though. What was most astonishing was the fact that Pat Moss-Carlsson, not a large lady by any means, used to rally one! In fact, she did so very successfully, even winning the monstrous Liège-Sofia-Liège rally in 1960. Her co-driver couldn’t place her feet on the floor due to exhaust heat but the main reason for my respect is that a Big Healey is a very heavy car to drive. Just changing gear required vast tracts of my strength. Trying to imagine driving this car at high speed, on public roads, for 3000 miles with only one 1-hour scheduled break was just too much. An incredible lady – and one who I was fortunate enough to meet before her death. She liked my 2CV. Wow. But anyway, as you can imagine, having driven this trio, I thought I was sorted for life. I quit my boring IT-related day job and sat back ready to become a famed motoring writer. I think I got another two pieces published in the following six months and my new wife found her new husband a bit of a liability. Fortunately, I then secured an actual job writing for Classic Car Weekly. Those six months were pretty difficult, but fortune favours the brave it seems. But, it certainly isn’t all driving flash cars on sunny days. Far from it. Most of my work is carried out, like right now: With a computer in front of me, a cursor awaiting my instruction and a pile of reference books nearby. I really do enjoy days where I get to drive cars though. And I’m not sure I’ve ever had a day as packed with quality as the above. It doesn’t matter. I’m just as happy driving a Hillman Minx, Bedford CF, Austin Somserset, Nissan Bluebird or BMW Isetta. I outright refuse to become someone who insists only on driving things with lots of power. All cars are enjoyable – even Wartburgs, Nissan LEAFs and Skodas. 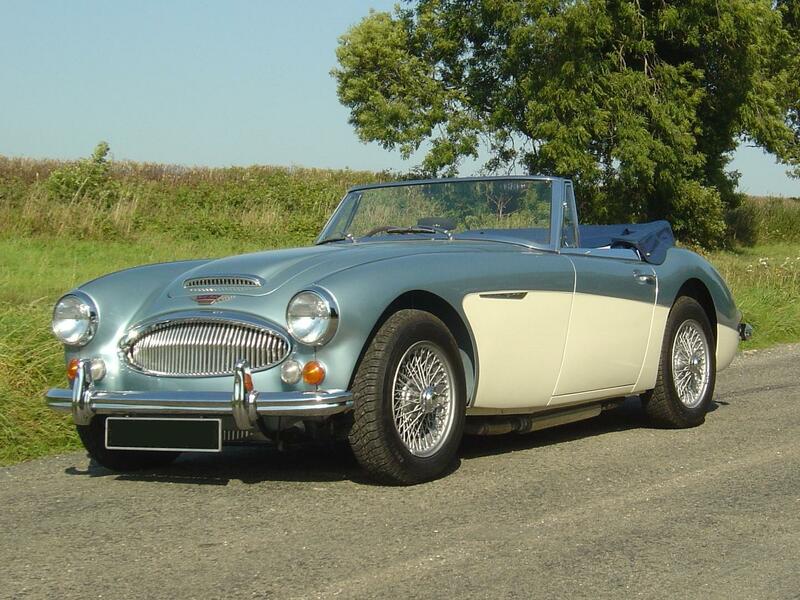 I may have been shamed by my Big Healey Humble Pie moment at the time, but it probably did me good. I was always an enthusiast of all older and interesting vehicles, and it has remained so. For the better I think. I hope.